I treat my children differently. I know you shouldn't do that. If you do, you’re certainly not supposed to admit it! Even my son and daughter know that I consciously do this...because I’ve told them. It all started last year when I woke up at 2:00 am to the sounds of movement in my daughter’s room. It’s certainly no cause for alarm when your 10-year-old has to go to the bathroom in the middle of the night or needs a drink of water, but the noise persisted. Now angry, and thinking she was mucking around in her room or, worse! watching something on her iPad, I stomped in ready to read her the riot act. I was literally stopped in my tracks. “What in the world are you doing? !” I asked. “I woke up and realized that I didn’t do a good enough job on my homework,” she said as tears slid down her face. It appeared she had been crying for awhile. She seemed terrified and, shockingly, it wasn’t me she was afraid of. I used to secretly wish that my under-achieving son could be more like his perfectionist, younger sister. His idea of doing a good job is getting the socks within one foot of the laundry basket. That’s pretty much how he does a lot of things. Well...just the things he doesn’t want to do. I never worried about my daughter, but I sure worry about her now. She’s just like how I used to be and still am, in many ways. She’s how many women are. 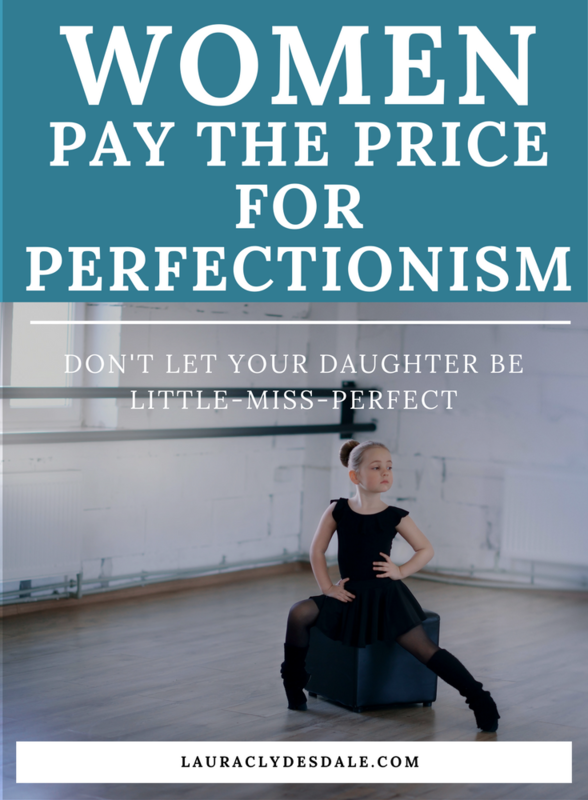 How can perfectionism be a problem? 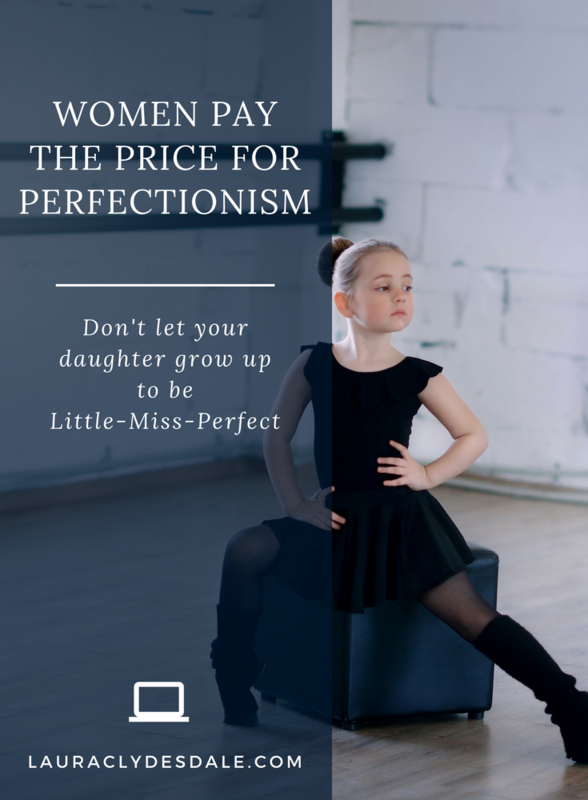 Because many of us women tend to hold ourselves back because things are just “not quite perfect enough”. Tara Mohr's book, Playing Big, tells it like it is with her “10 Rules for Brilliant Women”. I recently saw an interview with author Elizabeth Gilbert where she talked about her novel, The Signature of All Things (soon to be adapted by PBS’s ‘Masterpiece’). Gilbert created this amazing, fictional character living in the 1800’s, named Alma Whittaker. She is a brilliant scientist full of resilience and passion, however, Gilbert says she gave her main character a huge flaw to make a point to other women. “She is a perfectionist,” Gilbert said. Alma never publishes her seminal discovery…the theory of evolution…because it isn’t quite perfect enough. We know how this story ends. Another scientist you might have heard of (a man, no less) publishes first. My son seems to get it. He does the quick and minimal work that used to (and still!) drive me crazy. He gets his B+ or A- and then he’s out of there! Why put in those countless extra hours? He wants to do other things that he loves like baseball, video games or model-car building. Last weekend he and a friend actually built a computer. Talk about taking a risk. I’m learning to “love” his B+’s a little more now. Although, I’m still not happy that the socks don’t go IN the laundry basket. As a leader, it’s important to be comfortable with risk taking and it’s constantly touted as a key leadership trait. However, you can never be comfortable with risk if you haven’t experienced its upsides and downsides. How do you discover your personal limits if you’ve never tested them? How do you come to the realization that a failure isn’t a reflection of you? How do you learn not to be shattered by a mistake? This doesn’t just help build leadership, it helps build self-confidence. We must consciously practice making mistakes by leaping more frequently, not hiding in order to maintain our perfect image. And this brings me back to my daughter…in the middle of the night…doing homework…sobbing. School doesn’t help us practice taking risks. It only rewards perfection and we gals LOVE being perfect, don’t we? And so we hide behind our straight A’s. It’s safe there. 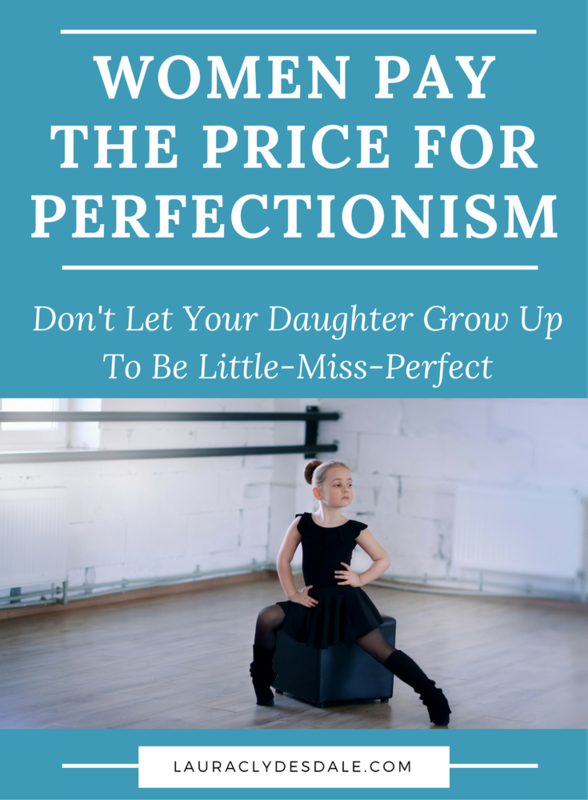 Is your daughter a little-miss-perfect? 1. Are you comfortable with her level of participation? 2. Does she seem flexible about making a mistake, or does she have a strong reaction to failure? Does she ever stop participating? 4. Is she willing to take on challenging projects and tasks? 6. Does she avoid asking for help when she needs it? If the answer to any of these questions is a “yes”, then we will need to encourage our daughters to set goals that involve risk. Simmons says to focus on two key areas where girls tend to struggle: the willingness to be wrong and the willingness to engage in debate. Identify what is her comfort zone, risk zone, and danger zone in each. What does she feel is really risky and what is just sort of risky? How does she define it? I don’t want my daughter to go to a danger zone, but I must push her to get out of her comfort zone. And so, I’ll push my daughter to take more risks in and out of school where she might just make a mistake. She could use it. Oppositely, I’ll keep pushing my son to take a little more time with his work, do a better job…be a little more perfect. He could use it. By the way, here is the true story. While Darwin was still working on his now-famous theory, another scientist by the name of Alfred Wallace sent Darwin a letter asking for advice. Darwin was horrified to see it was about a remarkably similar theory Wallace had independently discovered. At that time, Darwin hadn’t quite worked out all of the details in his Theory of Evolution. However, this letter made him decide to take an uncomfortable leap and publish his “imperfect” work. Darwin decided that good enough was good enough. I wonder if he ever got his socks in the hamper. Newer PostGrit (Not Talent) is the Key to Success and You Don't Need Any Magic to Get It.